This item consists of 10 packs of Magic the Gathering Mana 5 All Symbol deck protectors (Ultra Pro stock number 86469). 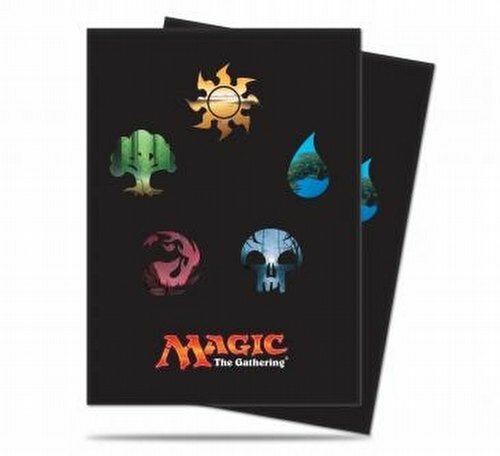 Each pack contains 80 deck protectors. Deck protectors are 66mm x 91 mm.